The slow loris is an endangered primate species from South-East Asia. Partly due to videos on You Tube, the slow loris is a very popular pet both in its native countries and internationally. Although the videos show a cute, furry animal which seems to enjoy being tickled or playing with an umbrella, the truth is very different. The slow loris trade is not only illegal but also cruel. Teeth are broken off using pliers to prevent the toxic loris bite. Many animals die either during transport or in captivity, while population numbers in the wild are dwindling and the slow loris is on the brink of extinction. Videos portraying the slow loris as a cute, furry pet increase the demand for slow lorises, fuelling the trade. Slow loris behaviours which are caused by stress or fear are misinterpreted as funny. You Tube has many slow loris videos on the website which show the slow loris as a pet, some of which have been watched millions of times. Despite requests to take these videos down, You Tube refuses to see the animal suffering and illegal activity in the slow loris clips. We ask You Tube to take responsibility and remove these clips. Please sign our petition to show your support! We the undersigned, ask You Tube to take down the videos of captive slow lorises. Many videos on You Tube portray slow lorises as cute, funny animals which make suitable pets. This strongly encourages the illegal trade in slow lorises, an endangered species, as shown by the many user comments requesting where to buy a slow loris. 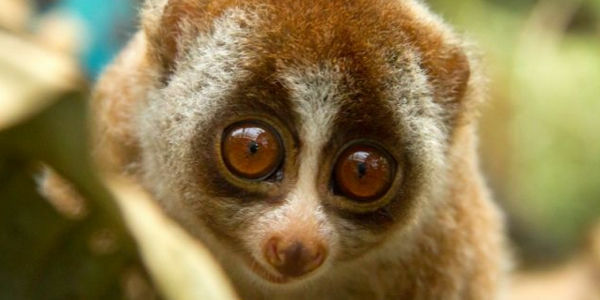 As evidenced by expert statements, the slow lorises in these clips are stressed, scared and futhermore illegally kept. The practices in the illegal trade, not in the least the knocking out of the slow loris teeth to prevent its toxic bite, have also been brought to your attention. We request You Tube to consider your Community Guidelines and classify this as animal abuse, and take down these video clips.